While IMD terms the period of November and February as winter months, this year the cold season is here to stay for some more days in March. At least two western disturbances are likely to affect the atmospheric conditions over northern parts of the country. Despite fewer cold wave incidents, this winter season has been unusually cold for most of India. Right from Jammu and Kashmir in north to Kerala in south, and from Gujarat in west to Bihar in east, cold conditions have prevailed all over the country for longer than usual. Anjali Marar reviews and explains why it was colder this season. Why was the winter season colder ? Intense cold conditions were mainly caused by snow storms originating from polar latitudes blowing over to mid-latitudes. Many countries in the northern hemisphere, mainly Canada, the US, all of Europe and Russia, along with India, were badly affected as minimum temperatures remained at sub-zero temperatures for days together. Besides, both the frequency and severity of western disturbances, this year, was much higher and it has affected the entire north India. As a result, intense precipitation, either in the form of snowfall or rainfall were reported all along the Himalayan belt. Although there were no notably strong cold wave spells or foggy conditions throughout the season, heightened cold conditions were recorded in many northern states this season, which continued well into February. Ground frost was reported in New Delhi, Mahabaleshwar (Maharashtra), Darjeeling (West Bengal) and Munnar (Kerala) too. How was India affected this winter? The solid precipitation (snow) recorded between November last year and February this year – mainly along the northern hilly terrains – was exceptional high in comparison to all previous years. Longer periods of snowfall was experienced in Jammu and Kashmir and Himachal Pradesh, along with some pockets in Uttarakhand and northern regions of West Bengal. Of these, December and January were largely snow-laden months for J&K, when some of its stations reported snowfall amounting anywhere between 350mm and 700mm on a single day. Temperature nearly touched freezing point at many places in Rajasthan, Kutch and Surashtra regions during the peak winter months too. According to India Meteorological Department (IMD) , this winter saw All India minimum temperatures for January recorded at +0.26 degrees above normal and remained 27th coldest since 1901. Whereas, for February, the figures were +0.39 degrees from normal taking the 25th spot since 1901. Maharashtra also reported severe cold days — sometimes running into weeks — as mercury remained low since the start of winters in November last year. Even the coastal belt of Konkan saw colder days, with night temperature dipping to 10 degrees in an otherwise perennially hot and humid region. 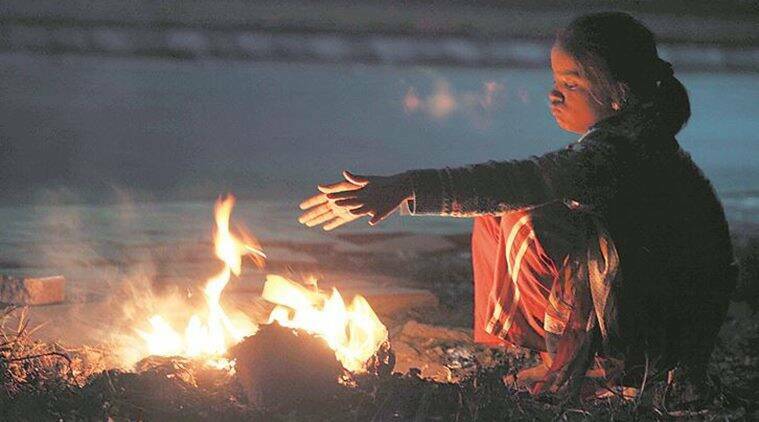 Regions like north Maharashtra and Vidarbha faced colder then usual weather conditions as night temperatures recorded in Nashik, Ahmednagar, Jalgaon, Nagpur and Pune fell – minimum temperature ranged between 3 degrees and 5 degrees on multiple occasions during the two months. Pune city recorded the season’s coldest night February 9 at 5.1 degrees, only the second occasion since a decade. Similarly, the mercury dropped and was recorded at lower than normal level on at least seven occasions this season — temperatures recorded were 5.9 degrees, 6.2 degrees. 6.8 degrees, 7 degrees and 8 degrees this winter. Is winter season over yet? While IMD terms the period of November and February as winter months, this year the cold season is here to stay for some more days in March. At least two western disturbances are likely to affect the atmospheric conditions over northern parts of the country. Currently, a western disturbance developing over Afghanistan is approaching India and is likely to cause snowfall and rainfall till March 4. The system is also likely to affect the night temperatures over the northern regions.